At the start of the Dallas Rock 'n' Roll Half Marathon. The runners with the American flag? 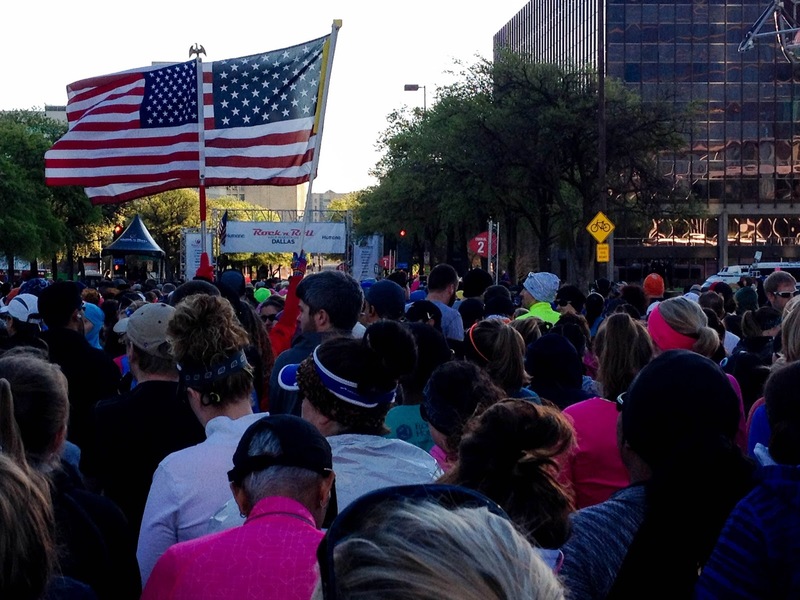 They run the entire 13.1 miles holding the flag high. They are part of Team Red White & Blue, whose mission is to enrich the lives of America’s veterans by connecting them to their community through physical and social activity.